No other dessert quite hits the spot like a fresh-baked, deliciously creamy cheesecake. 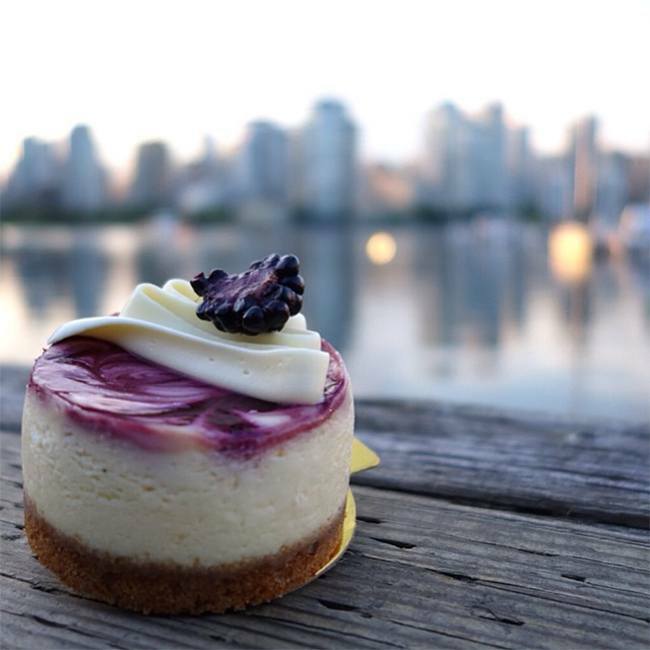 With a bounty of bakeries and dessert cafes serving up slices of this indulgent offering, we have compiled a list of where to find the best cheesecake in Vancouver. In addition to a mouthwatering array of chocolate treats, this recently opened cafe on Main Street serves delicious home-baked cheesecake. Offered either by the slice or whole (call ahead to order), Lisa Lou’s cheesecake comes in rotating flavours like Sour Cherry, Caramel Pecan, and Blueberry Lemon, which is slightly tart and delightfully smooth. Boasting a selection of house-baked cheesecakes, Small Victory is the perfect spot to enjoy this indulgent offering. While the bakery’s blueberry and pistachio cheesecakes are reliably good, the salted caramel version is to die for; it’s wonderfully creamy, has a crumbling crust and is topped with a sticky caramel sauce. Whole cakes as well as individual servings are offered. 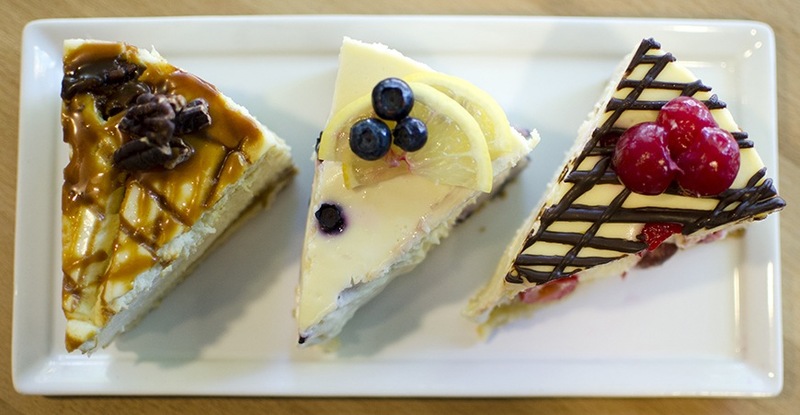 As the name suggests this Granville Street bakehouse offers patrons a varied selection of drool-worthy cheesecakes. Light in texture and rich in taste, the original cheesecake topped with BC strawberries is one of the bakery’s most popular slices. Cheesecake purists should stick their fork into the crustless cheesecake, which promises to be the lightest, smoothest, and creamiest cheesecake you’ll ever taste. Two locations offer a delectable range of pastries, tarts, and cakes, including light and fluffy cheesecakes (available whole or in mini versions). 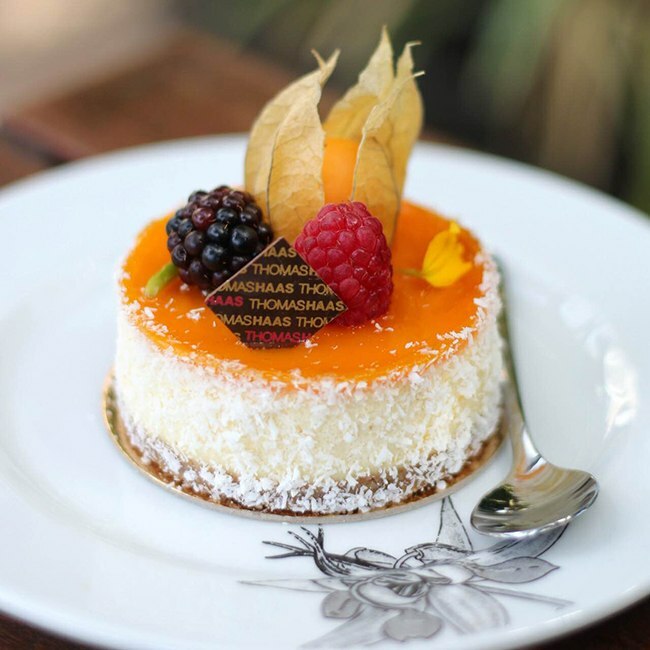 Thomas Haas offers perfect berry cheesecakes (light treats with vanilla, fresh berries, and coconut flakes), alongside “exotic” cheesecakes (comprised of passion fruit, mango, orange zest, and coconut flakes). 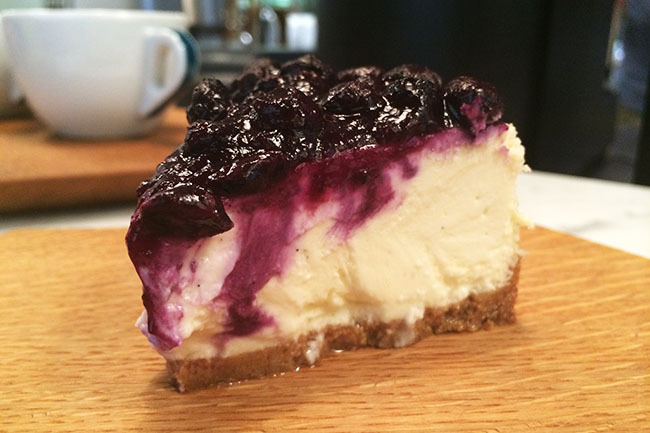 Priding themselves on having the best cheesecake in Vancouver, Trees Organic Coffee and Roasting House offers multiple cheesecakes, including a classic Blueberry and a creamy New York style, served with a side of whipped cream and chocolate drizzle. The roasting house also serves non-conventional flavours like Mocha, Maple Walnut, Chocolate and Cherry, Key Lime, and Raspberry Chocolate. Portions are generous and the fillings are seriously decadent. With four locations (and one on the way) one is never too far away from a Trees cheesecake fix. Dainty macarons might be what Soirette is famed for, however, this sweet West Pender bakeshop also offers a tempting range of mini individual sized cheesecakes. In keeping with the season Soirette is currently offering a Raspberry Cheesecake (comprised of a cookie crust, fresh raspberry puree, and fresh raspberries) and a Lime Cheesecake (composed of a coconut graham crust, fresh lime juice, and an airy lime mousse). It is impossible to resist the fully stocked display case at Sweet Obsession, where rows of drool-worthy cakes, including wonderfully rich and creamy cheesecake line the shelves. Choose between New York, Mango, Marble Chocolate, and Lemon varieties. Look out for seasonal flavours throughout the year. Those with a cheesecake hankering may find themselves gravitating towards True Confections, for good reason. This dessert only restaurant serves a range of delectable cheesecakes including Black Top Marble, Blueberry, Chocolate Peanut Butter, Chocolate Caramel, Strawberry, and White Chocolate Raspberry.